Emergency services were called amid concerns for the welfare of a woman in Worthing yesterday afternoon. 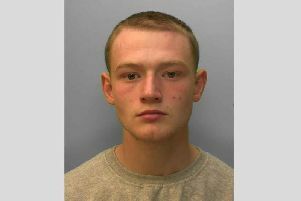 A spokesman for Sussex Police said officers attended a property in King Edward Avenue at around 1.10pm yesterday (January 16). There were concerns about the welfare of a woman, said the spokesman, but on arrival she was discovered to be unharmed. An eye-witness said at least three police cars were in attendance, as well as an ambulance. Police are unable to reveal any more details at this stage.